Nestled in a quiet corner of Kailua, a quaint country addition seamlessly melds new with old. 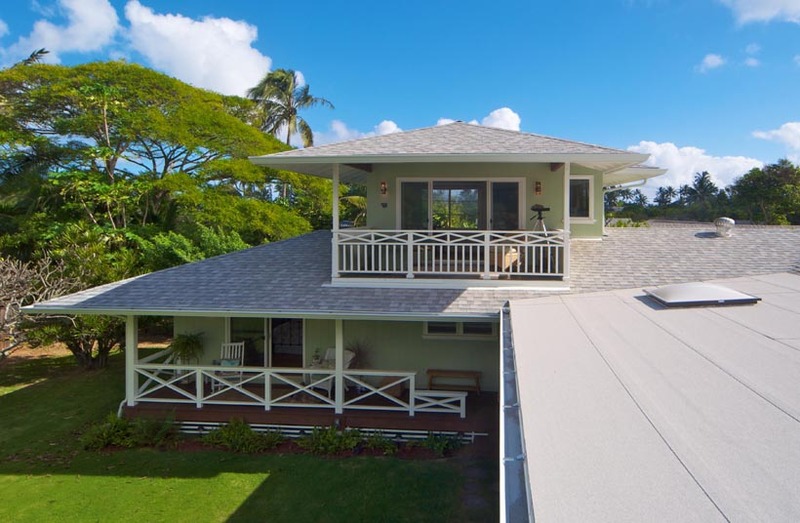 This two-story green addition takes the quintessential Kailua construction and magnifies its beauty with superior attention to detail and craftsmanship. The materials that went into this Kailua green construction were taken from existing parts of the house or reclaimed from other projects to ensure the integrity of the home was maintained as well as reducing the amount of materials going to landfills. Updates with bamboo flooring, low flow plumbing, low voltage lighting and solar reflective shingles has revitalized the home's sustainability. Traditional accents include locally crafted sconce lighting, Ohia posts, custom wood railings, a vented window seat and stained glass windows.